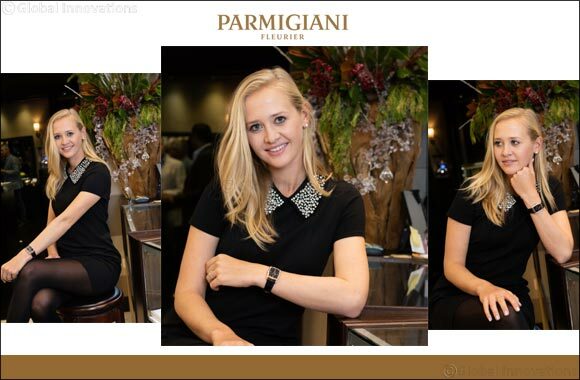 Dubai, UAE, December 26, 2018: Parmigiani Fleurier is proud to announce the latest addition to its Friend of the Brand network, professional golfer Jessica Korda. The American athlete turned pro at only 18 and joined the LPGA Tour that year (2011). Since then, she has made a name for herself in the professional golf world, winning five tour titles thanks to her stamina, hard work and dedication. At Parmigiani Fleurier, we are proud to welcome such an inspiring athlete among our valued Friends of the Brand. Jessica will be wearing the Kalparisma Nova Galaxy timepiece, characterized for its stunning aventurine dial and small seconds star design, inspired by Michel Parmigiani's famed restoration work. Jessica will be making guest appearances throughout the year as well as hosting Parmigiani Fleurier Golf Clinics with select clients to share her knowledge, provide tips to active players and inspire a new generation of golfers. The Kalparisma Nova Galaxy timepiece has been very successful attracting the attention of clients who seek the practicality and versatility of an everyday timepiece without having to sacrifice comfort or elegance. The perfect match for a young dynamic woman. Next Story : Heritage Corum Lab 01 - Timekeeping was never so elegant!